CORSIER-SUR-VEVEY (April 2) -- Aline SILVA (BRA) has been awarded United World Wrestling’s 2018 Women in Sport Award. Silva, a 2014 world silver medalist 2016 Olympian, has spent much of the past 12 months creating an outreach program in her home city of Cubatã, Brazil, which provides educational and wrestling opportunities for girls. 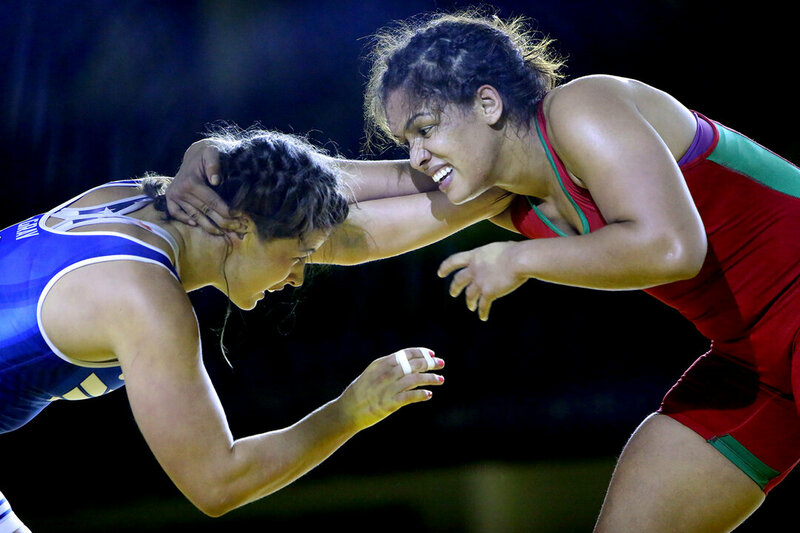 "We are very proud of Aline," said United World Wrestling president Nenad Lalovic. "She is the type of female leader we want in our sport. She has taken her victories on the mat and is making a big impact with younger girls. We are honored to present her this award." Silva will receive $10,000 from United World Wrestling and is expected to hire a coach and English teacher to help instruct 60 public school girls in Cubatã. The outreach program will also include weekly empowerment teachings with themes like leadership, personal development, and sexual and reproduction rights. Silva kickstarted her to-be-named outreach program with a trip to the Global Sports Mentoring Program at the University of Tennessee's Peace, Sport and Society Program. During her six weeks on-site, Silva created a plan of action to empower Brazilian women through sports and sought advice on ways to improve her new program. Though busy with outreach and instruction, Silva isn’t slowing down on the mats. She is still training full-time and expects to compete at this year’s world championships in Budapest. Her goal is to medal at the 2020 Olympic Games in Tokyo. Other applicants included Power Club (ESP), Johanna KIKAS (EST), Elham HEIDARI (IRI/CAN), Yevheniia PAVLOVA (UKR) and Fédération Française de Lutte who each showed commitment to advancing the gender equality through wrestling.